Earlier this year, Mt. Hood Community College Planetarium Director Pat Hanrahan was among a small group of astronomy educators chosen to tour some of the top observatories in Chile. 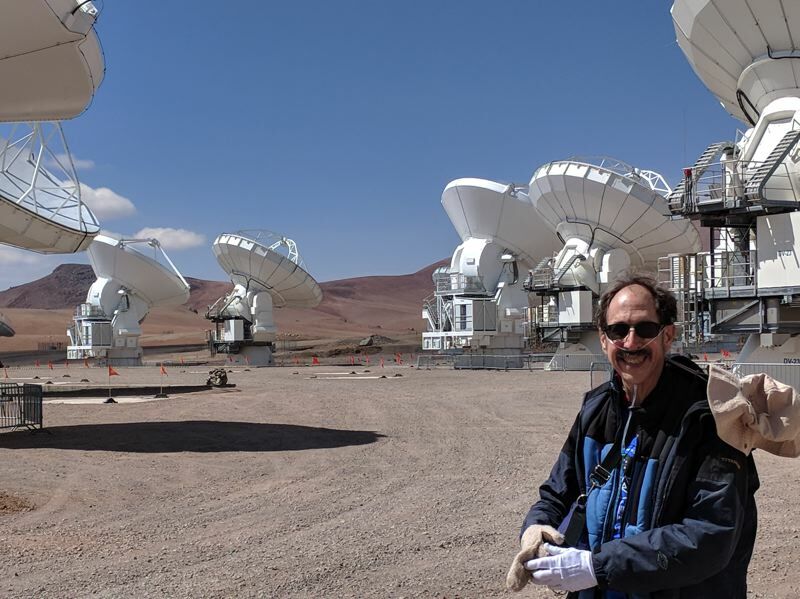 Hanrahan will share details about the observatories he visited and some of the astronomical discoveries that have been made in Chile during "Big Astronomy from Chile," with shows at 6 and 7:15 p.m. Tuesday, June 5, and Friday, June 8, at the MHCC planetarium. "I was tickled pink to be able to become one of these ambassadors," Hanrahan says. "The experience was wonderful. I have a much better understanding of what we have in Chile and why. I returned from the trip very energized." Hanrahan says many Americans may not be aware of American and other international investments in Chilean astronomy research. Astronomers look for high-altitude locations to reduce the interfering effects from Earth's atmosphere, and Chile offers many high-altitude locations. 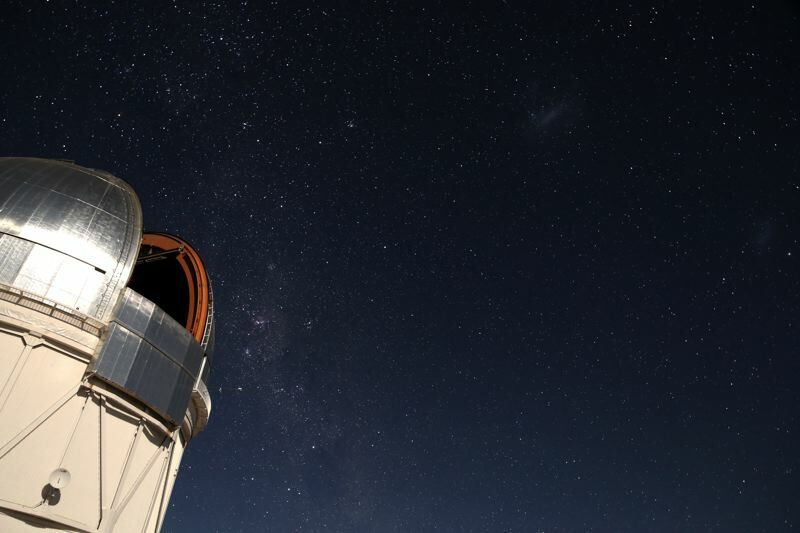 By 2020, 70 percent of the world's largest, most advanced observatories will be located in Chile. Hanrahan says The National Science Foundation has been supporting the Astronomy in Chile Educator Ambassadors program so that key American educators can get the word out. He and other participants kicked off their 10-day trip beginning Jan. 20 in Santiago by meeting local science leaders. From there they flew north to the coastal town of La Serena and met the Head of Mission for the Association of Universities for Research in Astronomy (AURA) for Chile. In the nearby mountains, they visited with scientists at the large observatories, including Gemini South, the Blanco Telescope and the site of the partially completed Large Synoptic Survey Telescope. Further north, they had the opportunity to visit the largest and most advanced radio telescope array in the world known as ALMA (Atacama Large Millimeter Array). The radio telescope array consists of 66 high-precision dishes, with most of them nearly 40 feet in diameter. "It was absolutely beautiful up at this site," Hanrahan says. 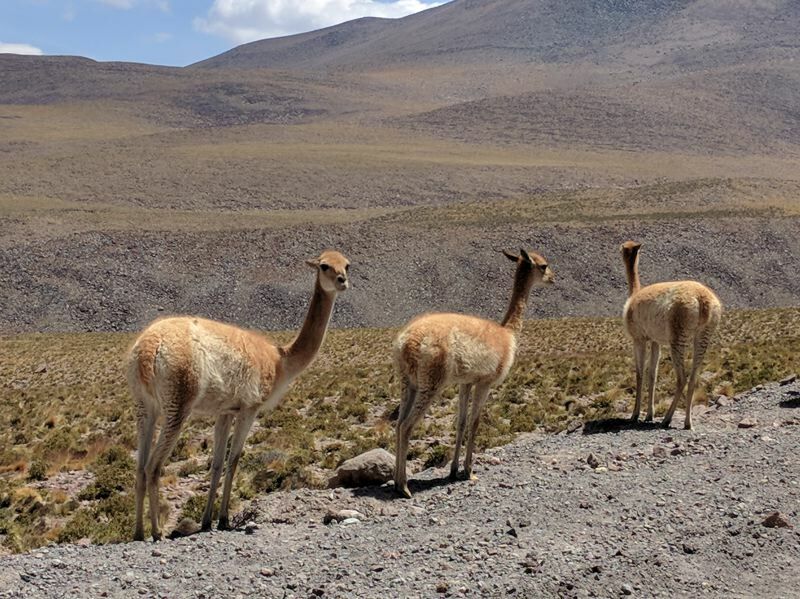 "The sky appears a deeper blue, the plants are hardy and there are even larger animals called guanaco that resemble llamas near that altitude. Even lower, you can find the Chilean Rose Tarantula; however, the only tarantulas that the group saw were dead ones." This isn't the first time Hanrahan has shared about his travels. Amid serving as a resident astronomer in Namibia four times in five years, he made two presentations on the Southern Sky at MHCC and one at OMSI about his experiences. "I enjoy the personal touch travel adds to presentations," Hanrahan says. "It makes the experience fun. I hope audience members at the upcoming presentation take away a better understanding of what's going on in Chile and how by pooling resources with other countries, we're able to do far more than what we're doing in our individual countries." What: MHCC Planetarium presents "Big Astronomy from Chile"
Where: Mt. Hood Community College's Planetarium, located below the library in room AC1305, 26000 S.E. Stark St., Gresham. Cost: $5 for the general public; $2 for children 17 and younger and MHCC students with ID. Info: mhcc.edu/planetarium; seating is limited and available on a first come, first-served basis.